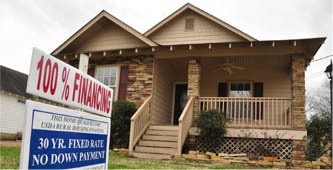 If you’re thinking of buying a home in several areas near Birmingham using 100% loan financing through the U.S. Department of Agriculture, you’ll have to go a different route. Effective October 1st, homes in Chelsea, Calera, Moody and Pleasant Grove—areas that have been eligible for USDA’s no-down-payment funding—will no longer qualify. Current loans that are already in USDA’s processing system as of October 1st will be honored. The removal of these areas comes as a result of a decision that these communities are no longer considered rural. USDA’s loan program has been very popular…Colleen and I have helped many first time Buyers over the years with purchasing a home using this financing. This does not necessarily mean that you’re out of options if you’re trying to get a 100% financed loan for a home in these areas. USDA’s no-down-payment financing for Calera, Chelsea, Moody and Pleasant Grove is winding down as of Oct 1st. A new 100% conventional loan program has just been announced that may be a suitable alternative. Offered by several area Lenders, the new loan program is currently available at a fixed rate of 4.75% to Buyers who qualify, and has reduced mortgage insurance. And, unlike USDA loans, this new loan is not restricted by area. Home Mortgage of America, Inc. When you can get into a nicely upgraded 3BR home (with new granite counters, new stainless appliances, new paint, new flooring and more) for less than $103,000 and, then, on top of everything else, get a no-down-payment loan…well, that’s a seriously good deal. This is yet another case where you could own your own home for less money than it would cost to rent. The home is located at 2148 15th St in Calera. It’s less than a ten minute drive to I-65, making access north into Alabaster, Pelham and downtown Birmingham easy. What makes this so outstanding is the price: $102,900. 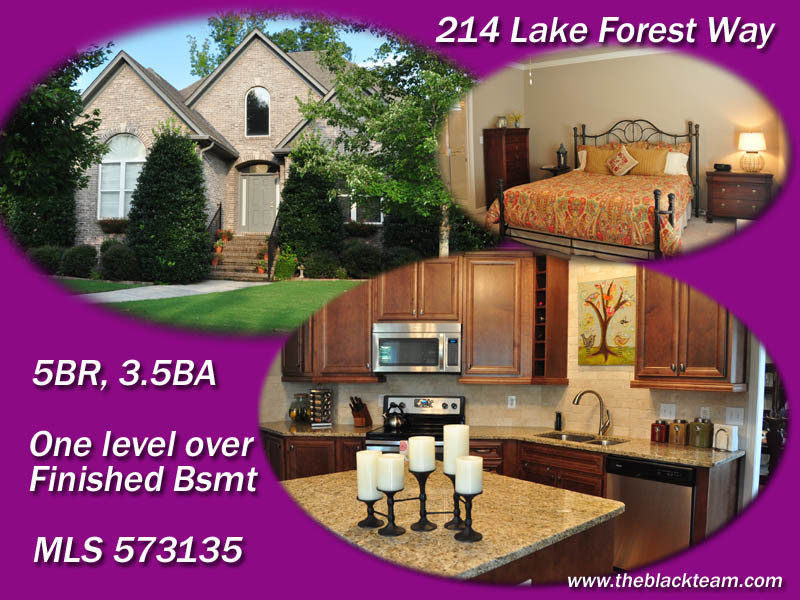 If you’re looking to buy a home in the Birmingham area, Lake Forest in Shelby Co. is one of the neighborhoods where you can’t go wrong. Folks love this area because of its surroundings, which include a lake, walking track, playground and more. If you’d like help with finding a home anywhere in the greater Birmingham or Shelby Co. area, let us know. The just upgraded Kitchen at Colleen and David Black’s Birmingham/Shelby Co. home creates an entirely new look and feel. Talk about adding some pizazz to our home! 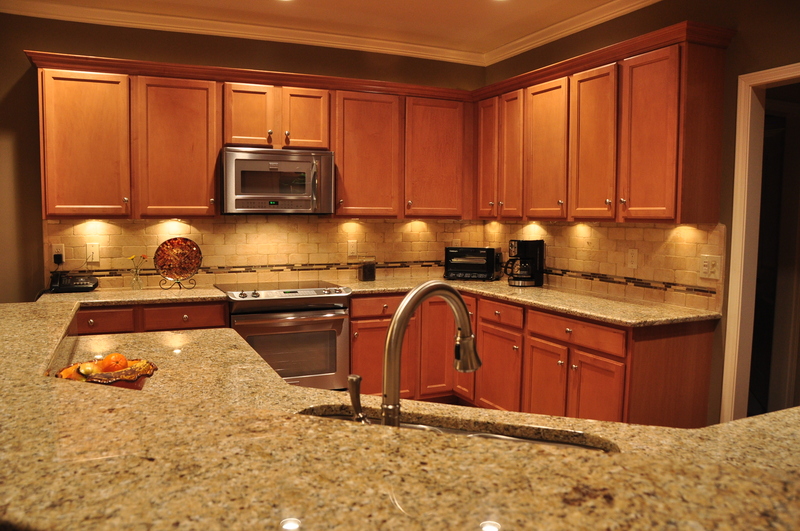 We talk with our Clients frequently about adding features that make your home more attractive and enjoyable. If you’re trying to get your home sold in the Birmingham/Shelby Co. area, these enhancements can be what it takes to get a successful sale. But even if you’re not selling, they’re still wonderful to enjoy while you live there. We’ve taken our own advice. Our Kitchen upgrade project is basically complete. To say that we’re pleased is an understatement. We knew we’d like it … but we like it even more than we thought. This upgrade includes sparkling New Venetian Gold granite counter tops, a Frigidaire professional series hybrid induction cooktop with convection oven, microwave oven, dishwasher, disposer, under mount sink and fixture, and new stone back splash. We’re even adding an instant hot water dispenser. A lot of coordination and logistics had to go into this to make everything work. Different work crews had to be scheduled to come in at various times, and they could only do their work in a certain order (i.e. Crew #2 could come in only after Crew #1 had finished its task). With the need to do all this coordination—and the fact that the work crews have busy schedules themselves—Colleen and I had suspected that it could easily be three, four or even five days before our Kitchen could be used again. 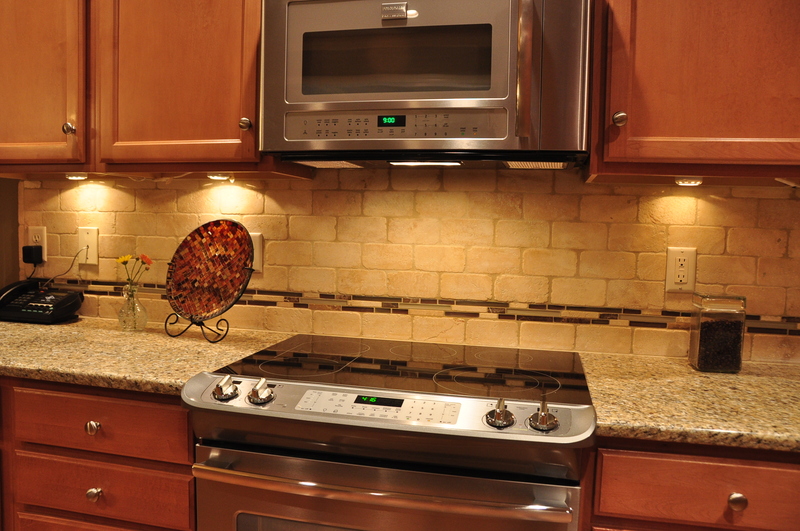 The stone back splash design—with its distinctive separating glass border—was designed by Colleen and enhances an already elegant setting. Amazingly, the entire process—from removing the old, to finishing installation of all the new—was done in less than two full days (the template tracing for the counter cuts had been done two weeks earlier). I never realized how much we depend on having water in the Kitchen—until we lost access to it! No water out of the tap or refrigerator, no rinsing dishes in the sink, and no stove adds up to having to improvise. With all the different workers involved, it’s pretty easy to figure that someone in the process is likely to make a mistake. And I sort of figured there would be a lot of cleaning up we’d have to do behind everyone. The workers who did this project—every single one of them—did an awesome job. Nothing got damaged, no hardwoods got scratched despite everything being moved in and out, no walls got scraped, everything got put in correctly, protective covering was put down on our floors, stairs and counters, and nothing got tracked on flooring or spilled. After finishing their work, there was no clean-up for us to do. Everything was left immaculate. 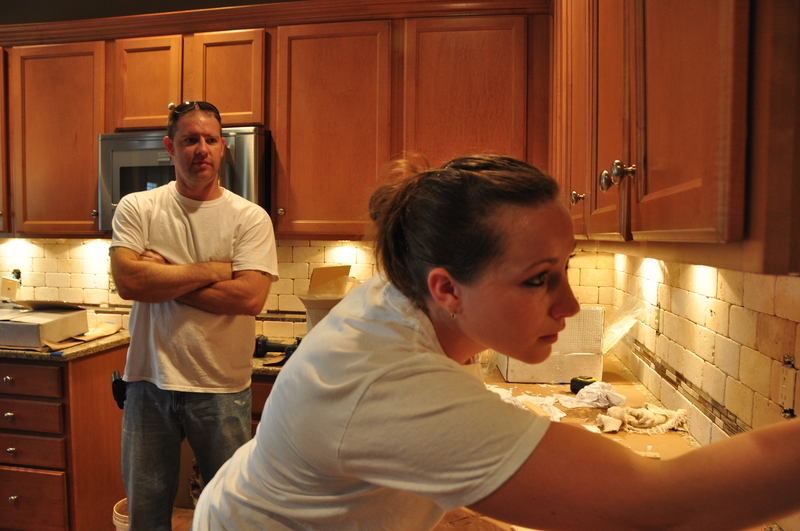 Whether for Kitchen, bath or elsewhere, Shane and Heather Massey, of KB Pro, are a Birmingham area husband and wife team of tile experts who can help create an entire new look. For all the logistics that had to come together, Colleen and I think we have come out great. Steve Poe with Cahaba Cabinets, Inc. in Pelham did an excellent job overseeing all the work and handling the installation of our new counter tops. We do not take him for granite. Oscar Requena with Hunter Home Improvements handled making sure all the gadgetry was delivered, connected and working. The changes Oscar made in his schedule are part of why we were able to have a functioning Kitchen so quickly again. 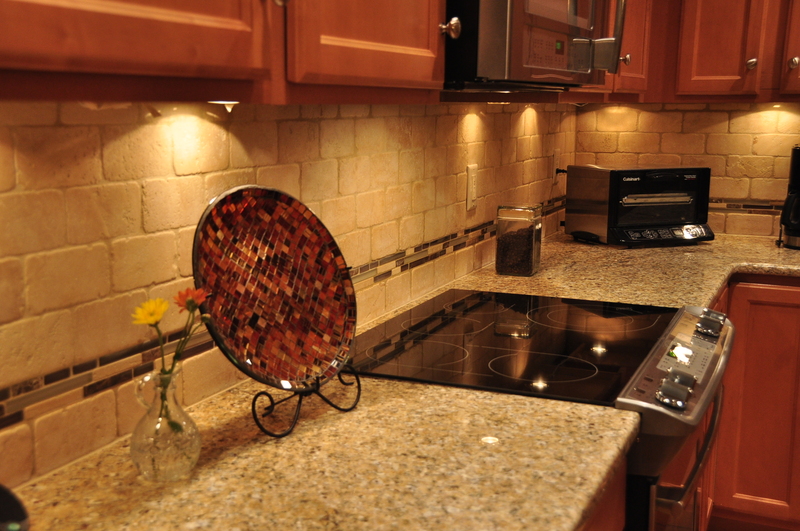 Shane and Heather Massey, the husband-wife team known as KB Pro, took Colleen’s design ideas and turned them into the beautiful back splash that we think really makes the Kitchen pop (I’ve always thought that, if she wasn’t a real estate Agent, Colleen has a second career waiting in home design and staging). We have a lot of learning ahead, now that we have purchased an induction cook-top (the fact that it’s a hybrid means that we can cook using induction and/or the conventional way, with standard electric). Our appliances came from the AllSouth Appliance Group, whose staff and impressive showroom can get you pointed toward the best choices for your lifestyle and needs. Forget waiting several minutes for something to heat up. If you’re accustomed to cooking with electric or gas, the new Frigidaire induction cooktop promises big changes in food preparation. It’s pretty wild to be able to put a pot of water on to boil and, instead of waiting several minutes, full boil starts in only a few seconds. Our research into cooking technology covered electric, gas and induction. We wound up choosing Frigidaire’s professional series for several reasons. Induction cooking is far more precise. Colleen liked the fact the stove is a hybrid; if we do sell the home and the new Buyer isn’t familiar or comfortable with induction, standard electric cooking is still available. A keep warm zone and keep warm drawer are added benefits. The Frigidaire’s clean lines represented the look we were going for, and last but not least, this series fell in an attractive price point (we could have spent much more). Even the dishwasher is going to require some educating. When running it for its first cycle of dishes, we first thought it wasn’t working, only to discover that is working. Yep. It’s that quiet. Regardless of whether you’re selling or planning to stay put and just want to enjoy your surroundings a little more, upgrading your Kitchen is sure to please. If you’re thinking of selling your home and plan to do an upgrade like this with the expectation of getting your money back in the sale, hold on a second. That generally doesn’t happen. Home upgrades such as redone Kitchens and baths are still tremendous selling points, because they will likely put your place above the competition. Whatever you can do to stand out in a good way boosts your chances of getting an Offer. As Colleen and I look around and enjoy our new Kitchen, we can only think of one thing we would change. Whether we sell or stay, we wish we had done this upgrade sooner. One of the great things about living in the Birmingham area is the fact that so many beautiful settings are within such easy driving distance. 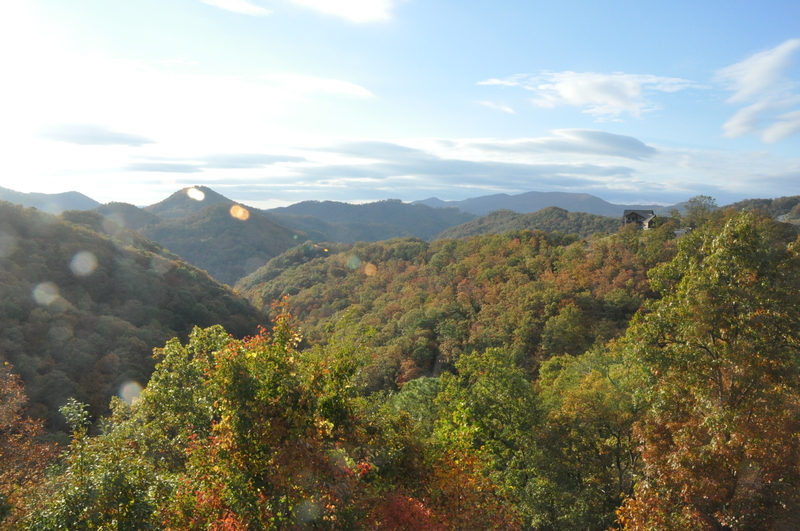 Colleen and I just recently returned from time away in the mountains of east Tennessee. Colors are plentiful at Metcalf Bottoms, one of many popular picnic and camping areas in the Great Smoky Mountain National Park. If you’ve never visited the Great Smoky Mountain National Park, you’ve missed a treat. Fall colors typically peak at the mid and lower levels during the latter half of October and first part of November. This is the park’s busiest time to visit, so be ready for lots of traffic and long waits at restaurants. But the payoff is seeing an assortment of red, orange, yellow and even purple colors that is a once per year event at most. While we did not find this year’s colors to be especially vivid, the scenery and beautiful sunsets were still well worth the trip. Popular places like Cades Cove offer spectacular views, but at this time of year, be ready to spend even more time there than you may be expecting. A sign on the road leading to Cades Cove during our stay warned visitors that—once on the Cove’s 11 mile one way loop road—they were in for no less than about 3 hours before getting out. But even during this busy time of year, there are still lots of places to explore—after all, the park encompasses over 800 square miles along the border of Tennessee and North Carolina. 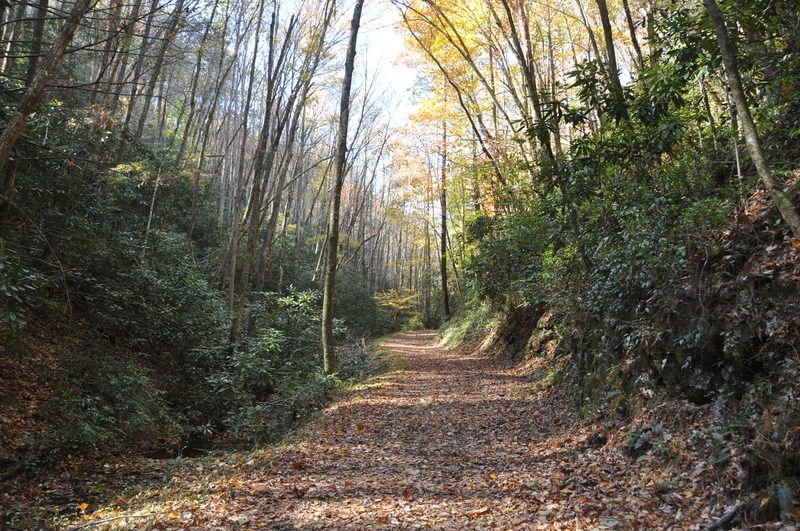 The Great Smoky Mountain National Park is full of walkways and trails leading you to beautiful scenery and tranquility. Besides trails that lead to beautiful water falls and mountain views, among our favorite places are the so-called ‘Quiet Walkways.’ They generally do not involve strenuous climbing, and offer a quick, easy escape to settings where you can enjoy total peace and quiet among nature’s handiwork. As you explore the park, you’ll definitely be taking a trip through history. The mountains are believed to be between 200 million and 300 million years old, making them the oldest mountains in the world. Not bad for less than a six hour drive, or exactly 300 miles from our front door to the cabin. 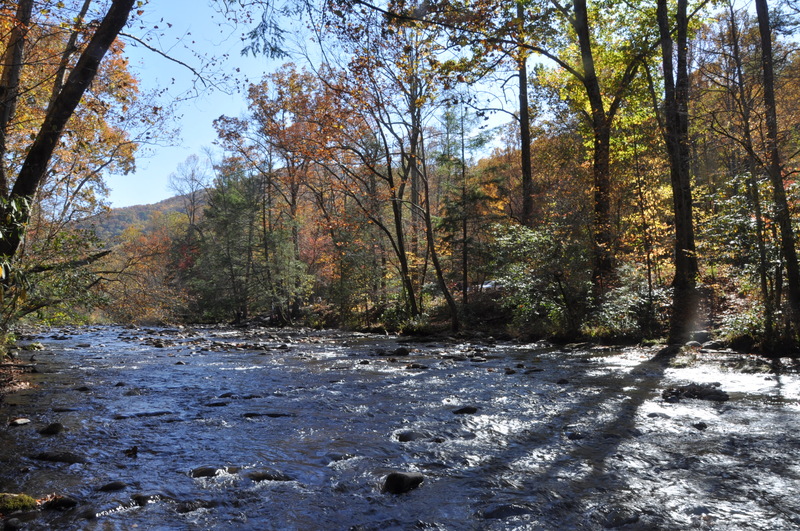 The park is full of places to relax, camp (primitive or RV), hike, stream fish and have picnics. Horseback and bicycle riding are other popular activities. With over 800 miles of trails and unpaved roads and elevations reaching to more than 6,500 feet, you are guaranteed not to get bored. Little wonder that this is America’s most visited national park by far. So far as I can tell, there is only one problem with spending time in places like this: The clock moves unbelievably fast. You can spend a full week and feel as if you got gypped on time. I consider the Smokies one of the greatest photographer’s paradises the eastern U.S. has to offer. In this day and age of digital technology, you don’t have to be an expert photographer to capture some scenes you’ll likely treasure having for years to come. Press the shutter button enough times, and you’re sure to come away with a great shot. The cabin we chose in Townsend (just outside the park) is one we’ve used many times over the years. It’s built on the side of a mountain, so from each of three levels, you have a great view looking to the west several miles, and it’s loaded with amenities: Everything from a hot tub and pool table to satellite TV, hammock and wireless high speed Internet. It’s rough, I tell ya, rough! There’s no shortage of cabins offering a great view of the mountains. Our cabin offers this view to the west, which means taking in some wonderful sunsets. Another amenity getaways to the Smokies offers is one four letter word that’s very popular with lots of folks: Food. You’ll find plenty of spots offering delicious steaks, barbecue and seafood, including Smoky Mountain rainbow trout (grilled, fried or blackened). And then there are almost unlimited varieties of freshly made fudge. When dining in the Smokies, it’s hard to walk away hungry. Visiting the Smokies offers clear cut choices in how you spend your time. We are not fans of crawl-speed traffic, large crowds or long waits. Places that seem overly commercial in nature are not big draws for us. Translated: You are not likely to see me waiting in line to go inside the wax museum! You can find your share of painted T-shirt shops and thrill rides in places like Pigeon Forge and Gatlinburg (which are full of family friendly activities), or you can opt to spend your time amid much more tranquil and secluded surroundings, as we do, that are only a few miles away. Colleen and I have visited the Smokies at different times of the year. Our previous visits have been during off season. While there’s no fall color to enjoy, the scenery is still every bit as impressive. More important—to us, anyway—is that going during off season means having most places almost entirely to yourself. Off season visits mean far less traffic and hardly ever dealing with crowds anywhere you go. It may be only one or two visitors you encounter on the entire length of a trail. Some businesses close during off season, but not all. Instead of a two hour or more wait at most restaurants, you’re far more likely to walk in and be seated. The atmosphere overall is much more relaxed. Bottom line: For us, off season visits are the way to go. If you are really serious about wanting to get away from it all, this is where you do it. Regardless of when you choose to visit the Smokies, you’re still likely to come away refreshed, and carrying a renewed appreciation of what Nature has to offer. So, one word of advice: Go! 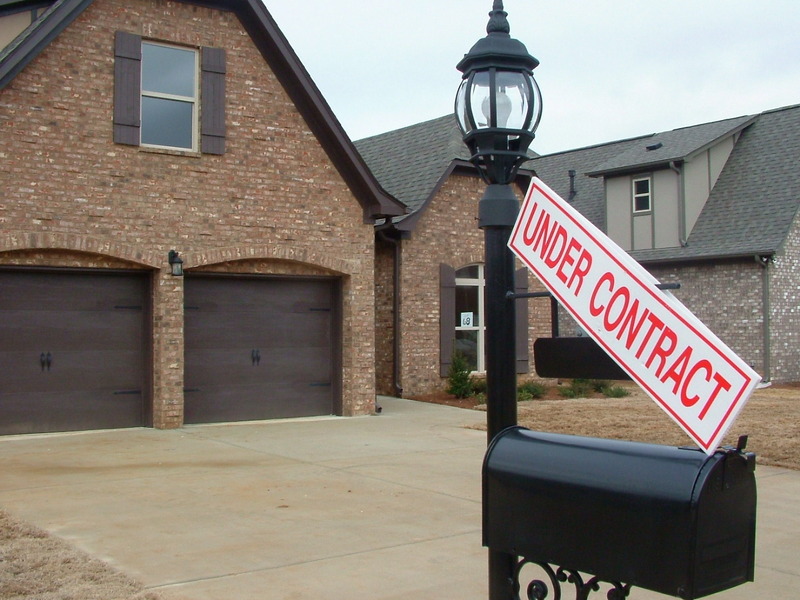 If you’re thinking of buying a home in Shelby County’s Calera or Chelsea area and are planning on financing your purchase with a no-down-payment USDA loan, you better get moving with your purchase, because time may be about to run out. As of October first, the USDA is expected to update the areas that qualify for its loans. 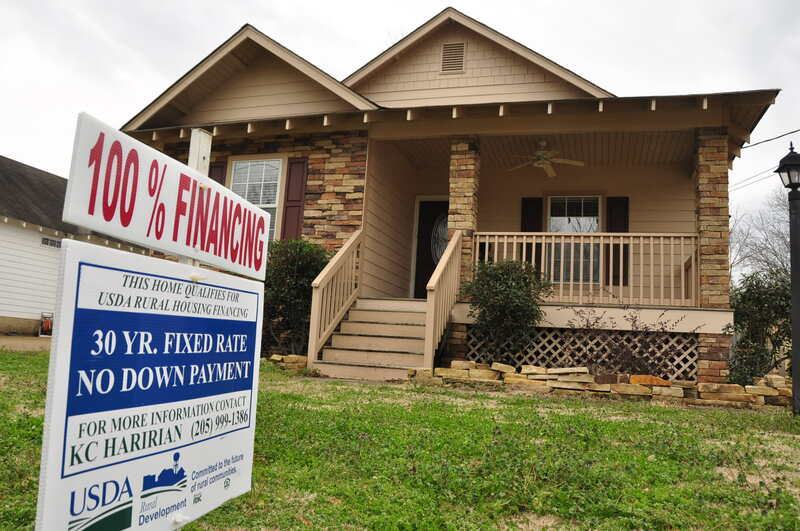 For Shelby Co., this means that Calera—which has long been a popular spot for home Buyers using USDA financing—will be dropped from the eligibility list. Chelsea is also set to be dropped. In Walker Co., Jasper will be dropped from USDA loan eligibility, as will Moody and Pell City in St. Clair Co., and Pleasant Grove in Jefferson Co. In all, more than 90 communities will be removed from the list of qualifying areas. The change in qualifying areas is not a 100% sure thing. At least one U.S. Congressman—Republican Jeff Fortenberry of Nebraska—is pushing to get Congress to order a one year extension of USDA’s existing eligibility zones. Others pushing USDA to grant an extension include the National Association of Realtors, the National Association of Home Builders and the Mortgage Bankers Association. Why does USDA plan to change the zones? The answer lies partly with the 2010 Census. An existing grandfathering clause allowed any community considered ‘rural’ in 1990 to continue to be eligible for USDA funding until the 2010 Census, as long as it has a population below 25,000 and met other critera. That clause, which was first enacted in 1990 and extended in 2000, is now set to expire. So, unless Congress takes action, many communities that currently qualify for USDA financing will lose their eligibility—and for many of those areas, USDA loans are the only source of federal housing funding. 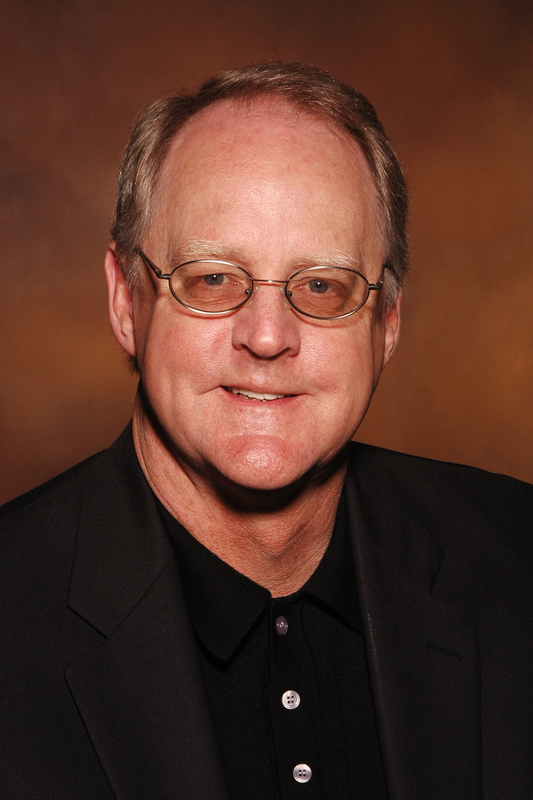 Are Birmingham Area Homes Selling? If you look around and ask various Agents throughout the Birmingham area how their business is going, you’re likely to get varied answers. One Agent we spoke with recently has struggled much of the year. Other Agents we know have been doing much better. Colleen and I have had an extremely busy year, for which we’re grateful. The fact is that—regardless of the economy in general and what’s reported in the news media—homes still sell. That’s because people’s lives change. New jobs, a change in family size or wanting to be closer to a particular area can be among the reasons. I’ve heard people thinking of selling their home say, “I’ll wait until the economy improves.” To be sure, values are still down considerably, compared to previous years. 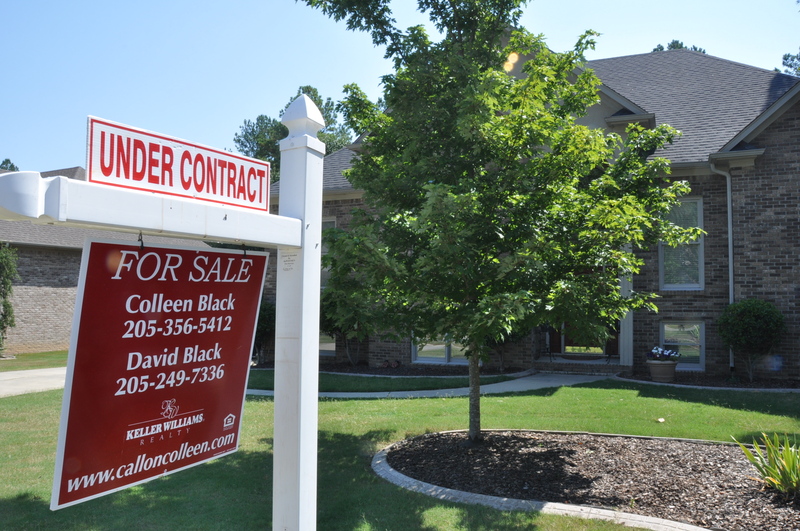 Here in the Birmingham and Shelby Co. area, the number of homes for sale in many communities is down considerably, compared to previous months. In Shelby County’s Alabaster and vicinity, the Birmingham MLS shows 220 homes for sale at present. This continues to be among the lowest numbers we’ve seen. This drop in inventory is having an effect. Homes for sale that we consider excellent deals don’t stay on the market long. Buyers are out there, and pounce as soon as the excellent deals appear. I’ve heard some home owners trying to sell without luck lamenting the lack of Buyers. It’s really not that Buyers are scarce. It’s just that they’re finding better deals elsewhere; the homes they wind up buying are in nicer condition, have more features, or are priced more attractively (or maybe all three). A home needs to have pizazz to sell in the current market, and must be priced to grab a Buyer’s attention. Homes lacking these attributes typically take much longer to sell (we’ve seen homes remain on market over a year before getting an Offer). When it comes to getting your home sold, there are definitely success stories in the Birmingham area. Colleen and I recently listed a home in Alabaster that got two Offers and went Under Contract 13 days after going on the market. The Seller was motivated, priced his home so that Buyers had to notice, and has done a lot of fixing up to make his home look nice. The payoff to his work is that his home is set to sell, so he can move. The drop in inventory being seen in some areas around Birmingham is starting to put a bit of a squeeze on Buyers. The Buyer who sees a really good deal on a home for sale in this area now realizes that there’s a chance to be taken by waiting: Someone else might swoop in and grab the home in the meantime. If you’re looking to buy a home in the area, our advice is to think about what’s important in a home to you, as well as area, and to contact us (205-356-5412). If you’re planning to get a loan, another critical step to take early in the process is to get in touch with a Lender. Here is a link to some area Lenders we recommend contacting. Remember that the world of home mortgages can be confusing, because there are so many different kinds of loans and differences in fees, down payments and other charges. A good Lender will be able to sort this out for you to help to simplify your decision. Getting quotes from other Lenders to compare is a good idea, too; just be sure to understand that comparing different loans effectively means looking at all the overall costs, and not just a single fee that might be higher with one loan. You might also ask about “locking” in your interest rate (which involves being assured of getting the same rate if you wind up buying a little later). By following these steps, you’ll be on the road to being part of the home sales success stories we’re seeing throughout much of the Shelby Co. and Birmingham area.